I originally found this on Pinterest but when I went to the recipe it linked too, the reviews were terrible. Everyone said their mozzarella bites melted to mush when they put them in the oven. I ended up searching for similar recipes and came across this one where mine turned out perfectly! Just make sure to keep your eye on them when they are cooking. Also, you have to serve these hot out of the oven otherwise you will lose that stringy goodness! Preheat oven to 400 degrees. Spray your foil-lined baking sheet with nonstick spray. Cut cheese sticks into fourths. In a small bowl, whisk the egg. 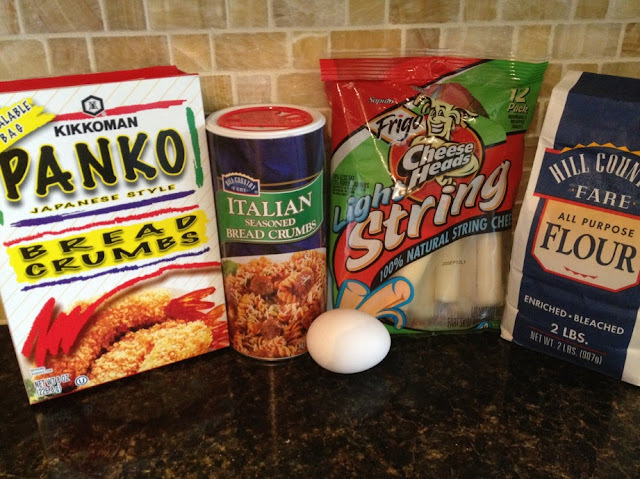 Place the flour in another small dish and in another bowl, combine the panko and italian-seasoned breadcrumbs. 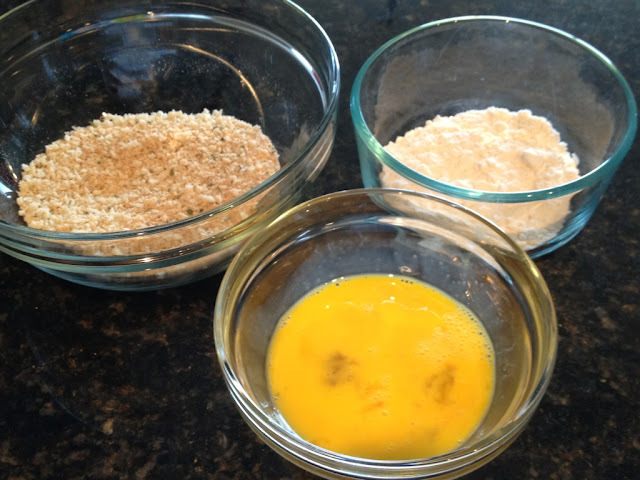 Dip the cheese sticks in the flour, shaking off excess, then into the egg, then coat with the crumbs. Repeat this process with the remaining cheese. 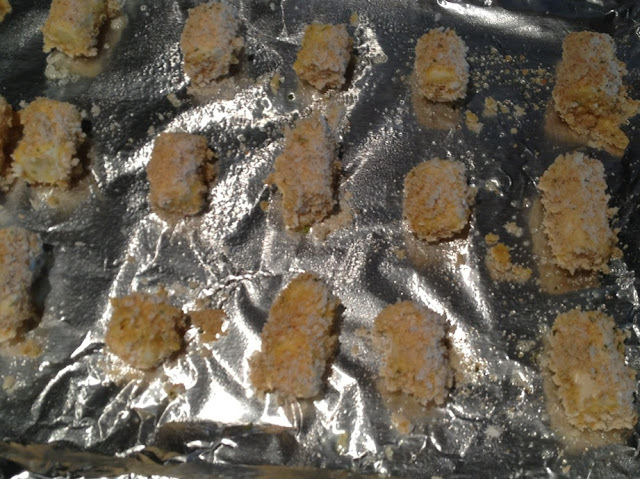 Spray the tops of the mozzarella sticks with a little more oil and bake in the bottom third of your oven until crisp, about 4 to 5 minutes. Turn and bake an additional 4-5 watching them closely to be sure they don't melt. 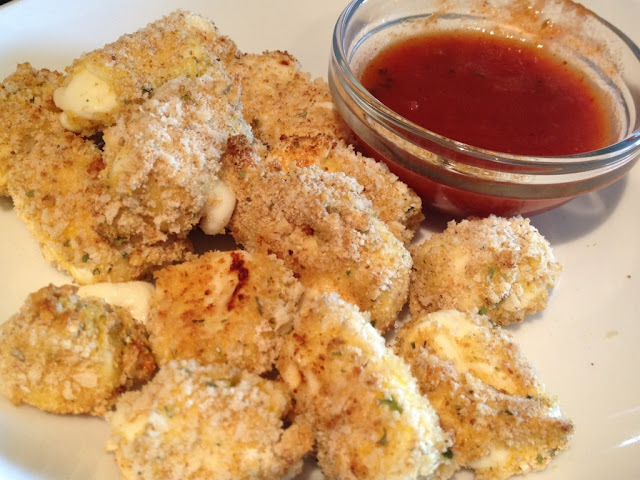 TIP-If your mozzarella bites melt, try freezing your cheese sticks (cut into fourths) beforehand and then dip, while still frozen, into the flour, egg and bread crumb mixture. You're stealing our boy's swag!